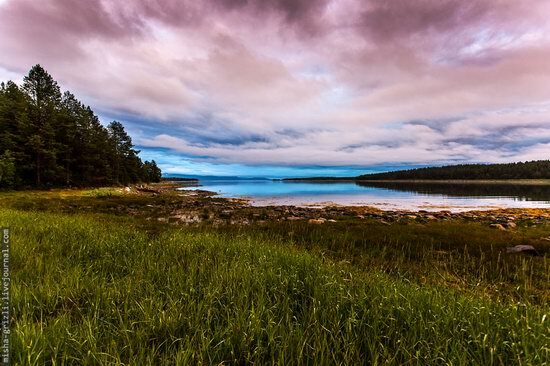 Petr Kosyh, an amateur photographer from St. Petersburg, traveled about 10,000 km on the Russian North and visited such places as Solovki, Kizhi, Valaam, Pushkinogorye, Vitoslavlitsy, Kenozersky National Park, Ruskeala, Ladoga Skerries, Veppsky forest, abandoned and forgotten villages. 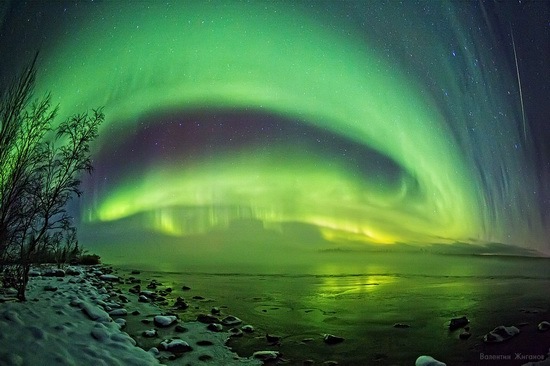 One of the most amazing natural phenomenon that you can see in the north is of course the Northern Lights (Aurora Borealis). 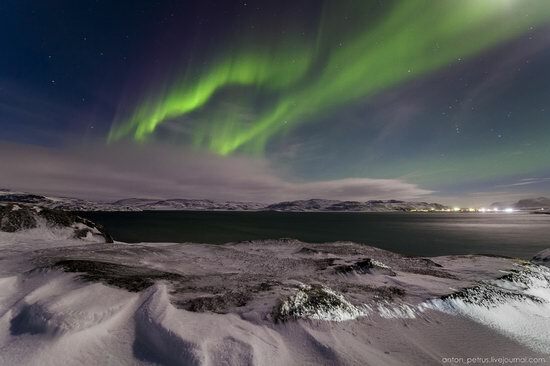 The following photos were taken near Teriberka – a village located in the Murmansk region on the coast of the Kola Peninsula. 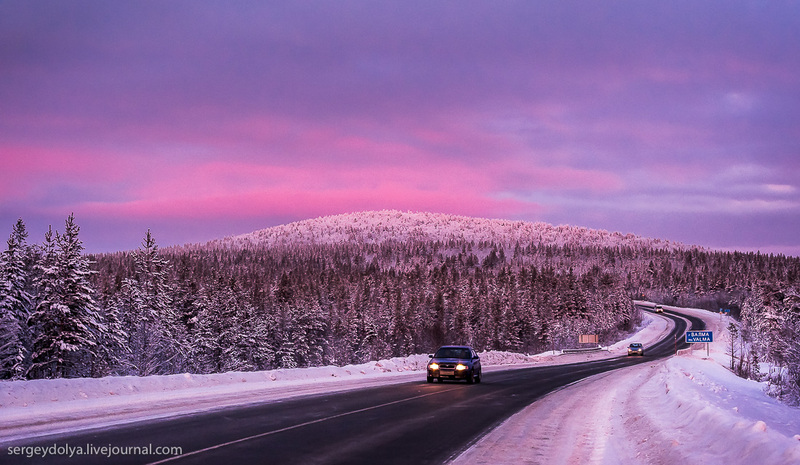 It is the only place reachable by road, where you can see the Barents Sea and the Arctic Ocean. Teriberka on Google Maps. Photos by: Anton Petrus. The Kola Peninsula is a peninsula with a total area of about 100,000 sq. 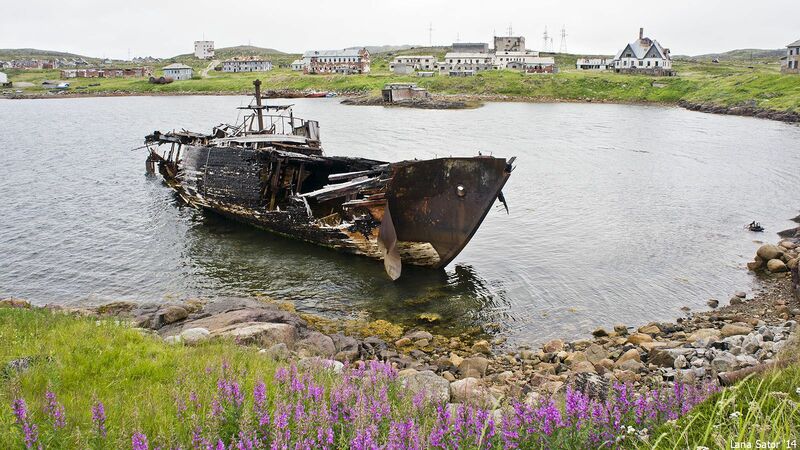 km located in the northwest of the European part of Russia, in the Murmansk region. Almost the whole area is located above the Arctic Circle. On the north, it is washed by the waters of the Barents Sea, in the south and east – by the waters of the White Sea. 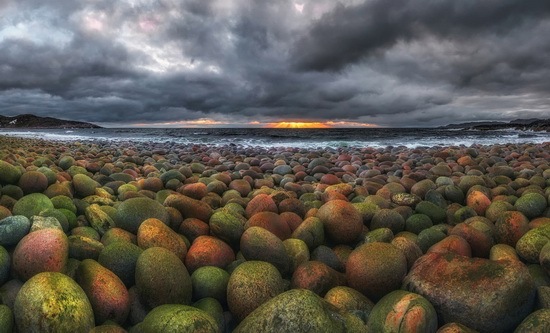 The Kola Peninsula is a peninsula with the total area of about 100 thousand square km located in the northwest of the European part of Russia, in the Murmansk region. 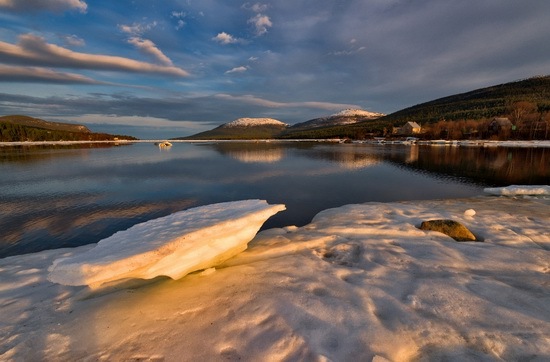 Almost the whole territory of the peninsula, washed by the Barents and White seas, is located above the Arctic Circle. This place in the far north of Russia has surprisingly beautiful landscapes. Photos by: Sergey Dolya. 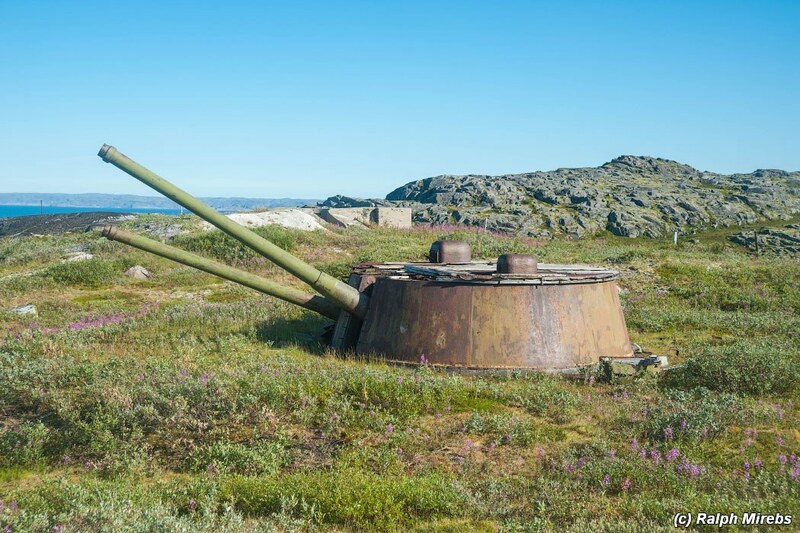 In Soviet times, a very significant part of the budget was spent on various military purposes, including the construction of numerous defensive structures all over the country. And here is one example. 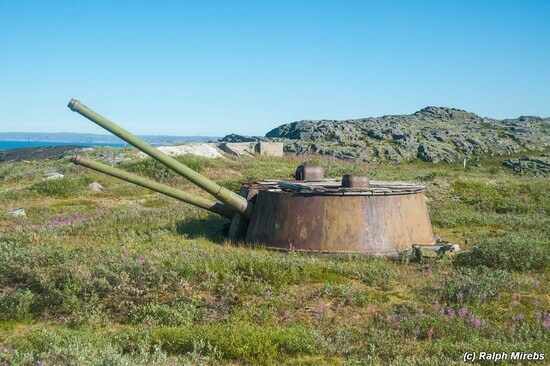 This artillery battery is located somewhere on the coast of the Kola Peninsula, in the northwest of the European part of Russia, in Murmansk region. Photos by: Ralph Mirebs. Yesterday, “Leviathan”, a Russian drama film directed by Andrey Zvyagintsev, won the Golden Globe for best foreign language film. It happened for the first time in almost fifty years. Probably, it can even win an Oscar for best foreign language film. In the film, you can see the wonderful landscapes of northern Russia. Let’s see how these places look through the camera lens. The following photos were taken in Karelia Republic and Murmansk region (the Kola Peninsula) by Andrey Grachev. Russian nature is known for its diversity. The nature of the Russian North occupies a special place in this variety. Dalniye Zelentsy village is standing on the shore of a small bay (Oscar Bay) of the Barents Sea in Kolsky district of Murmansk region. In 1935, Murmansk Biological Station was opened in this place. In 1958, it was reorganized in Murmansk Marine Biological Institute. After the collapse of the Soviet Union, almost all people left this place. 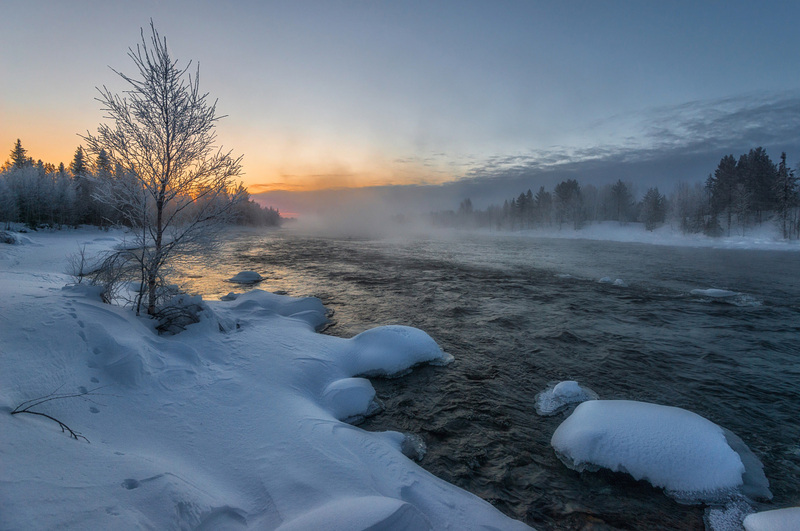 Stunning views of the nature of the Russian North are dazzling. For example, these landscapes in the area of Kandalaksha Bay, one of the four major bays of the White Sea, are amazing.